When you say “Destination Wedding”, most think of a windy wedding at a tropical island resort in the Caribbean (and are jealous they’re not there right now). But if you’re wanting to do something a bit different, but still want have an island-feel get away for your wedding with stellar views, there is hope! We have destinations right here in the U.S.A. that are easy to get to (no passport required!) and have unexpectedly beautiful venues with tropical touches. Here are some of our favorite venues in America’s unexepected destination locations! This venue gives you that backyard wedding feel, with a few outstanding bonuses: A ceremony location with water views; The cutest pale yellow historic house; A green lawn so large all your friends and family can fit! We could easily feel right at home at the Heitman House. When the “Friendliest City in the Nation” has a waterfront resort with every amenity imaginable, we think it makes for an amazing destination spot for the happiest day of your life. If you’re all about the beach, how about walking down a sandy aisle to breathtaking ocean views? Head south to Sunny Isles Beach located between Fort Lauderdale and Miami, FL to find this extraordinary oceanfront resort. In the mountains of Santa Barbara sits a Mediterranean Villa you’ll love exploring with your loved one. Think sunken gardens, exotic plants, plus Pacific Ocean views. 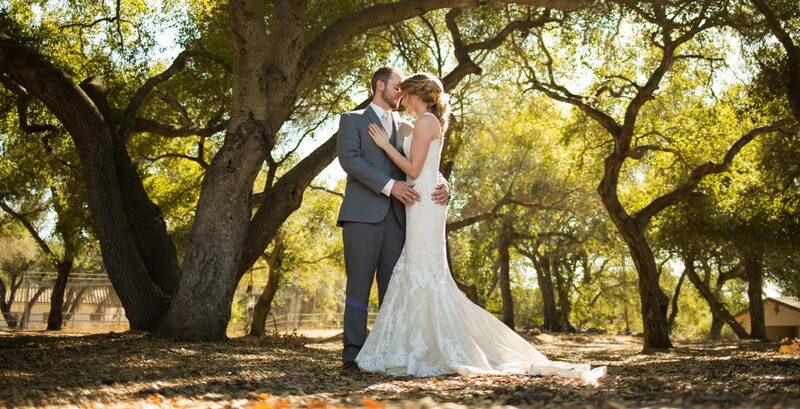 This venue has one fine collection of nature, and we absolutely love it! With an international airport near by, Rosen Shingle Creek is easy to get to and can house all of your wedding guests! The Spanish-inspired atmosphere is perfect for accomplishing a wedding getaway that’s not too far away.